Jefferson County is a county located in the U.S. state of Kentucky. It's county seat is Louisville. The county was created in 1780 and originated from One of three parts of the original area Kentucky counties. The name of the county comes from Thomas Jefferson, President of the United States (1801-1809). The links directory provides suggestions for a variety of websites to assist in your family history and genealogy research. 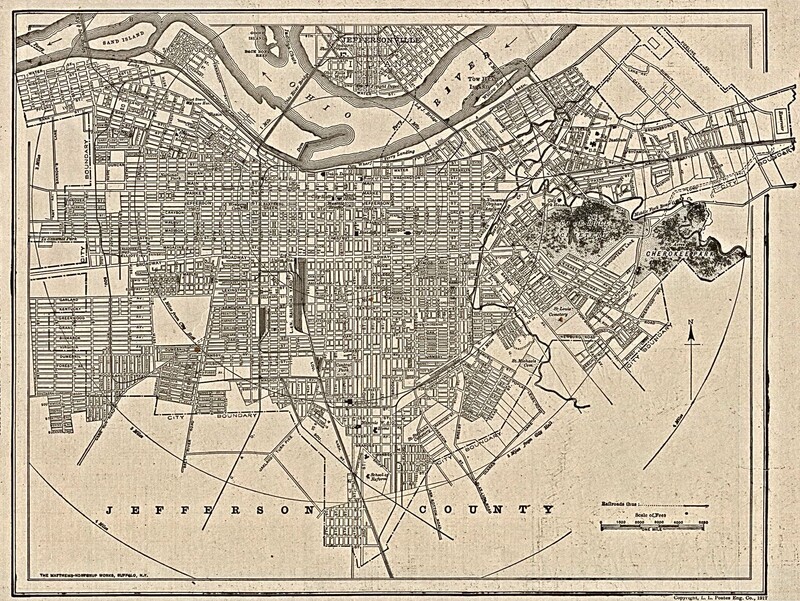 New map of Louisville and Jefferson County, Kentucky, 1913-Louisville Title Co.
C. Frank Dunn Photographs Collection-Jefferson Co. Biography of E. J. Graham, M.D. Biography of Oliver P. McCartney, M.D. Biography of Owen B. Withers, M.D. Biography of Paschal H. Chambers, M.D. Biography of Henry Baum, Sr. Biography of Henry F. Kalfus, M.D. Biography of Thomson J. Plummer Sr. Biography of William A. Pottorff, M.D. Biography of William Ainslie Goodall, M.D. Biography of William H. Terrell, M.D. Biography of John Arterburn, Sr. Biography of Cary B. Blackburn, M.D. Biography of Charles A. McWilliams, D.V.S. Descendants of Jesse Enlow, Sr.
Louisville Axe & Tool Co.